Aside from all things, education is still being an important aspect of our life. Just like a wise man once said, learning is not based on the age of someone. It’s only because in the want to expand our head for new information. Especially in the industrial age like this that reaching its 4.0 where people desperately need a high education to support their life. 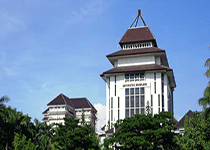 The first one on our list of the universities in Indonesia for International students is Gajah Mada University. It’s the top University in the center of Java Island, Yogyakarta respectively. The university is known as one of the best universities in Indonesia, that’s why, many would hope to be the students. Aside from giving the students with high technology and methods of learning, Gajah Mada is also can give the students so many job opportunities and recommendations for them to grow better. Even though many people want to to enter, but it’s not that easy to be able to pass the test for Gajah Mada University. 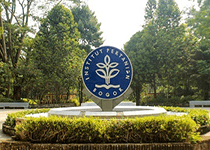 Next one is the Bogor Agricultural University or usually known as IPB (Institut Pertanian Bogor). 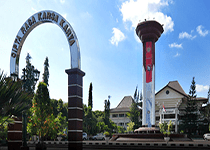 Just like its name, this campus is located in the city of Bogor on the West Java Province. This one is an university with the form of institute that highly focus on the agricultural field. But, even though agriculture is the theme of this institute, but there are also the other non-agriculture fields available also. The university was built in the first September 1963 ago. Now, it’s always included inside the top 10 Universities in Indonesia. Bandung Institute of Technology (ITB) is the famous campus in the city of Batagor, Bandung, West Java. Many people who love anything about technology would want to be the students of ITB. However, ITB was first and officially announced in March second 1959. The campus has about 27 fields of study. 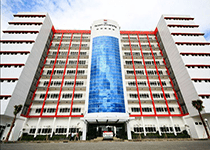 The main campus of ITB is actually the first technology institute in the country. About the accreditation, ITB got the highest, A score, by National Education Accreditation Board (BAN-PT) for most fields of study. Plus, there are about 13 study programs that got the International Accreditation from the Accreditation Board for Engineering and Technology (ABET). 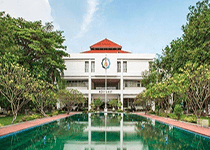 The next one the universities in Indonesia for International students is the Indonesia University (UI). The location of this campus is in the border between Depok and Jakarta, but usually people consider it as a Jakartan University. The University is known as a place for creating succesful alumni. That’s why, it would be a very happy moment is somebody actually made it. However, this state Univeristy was built back in 1849, about more than a century ago. UI even got the first place in the list of best universities in Indonesia. ITS or Sepuluh Nopember Institute of Technology is one of some best university in the area of capital city Surabaya in East Java province. To be exact, it’s located in the area of Sukolilo, Surabaya. It was first built in 1957 in order to grow the technology education in the eastern area of Java island. This institue is really related to the history of Indonesian independence back in the days. The heroes of the country like Dr. Angka Nitisastro, K.H. Yahya Hasyim, and having support from Roeslan Abdulgani are the people who had the idea for this University. The sixth on the list is the Diponegoro University or Undip (Universitas Diponegoro). 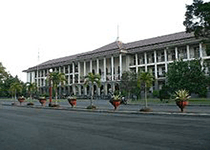 The location of this University is in the city of Semarang, Central Java. It was a private University back in 1956, but changed later into State University in 1961. The name Diponegoro came from the name of one national hero called Prince Diponegoro. Diponegoro University got a very good point of accreditation from the National Accreditation Board. From 2013-2018, the University got an A with about 361. Now, it has 11 different faculties completed with 2 schools and more than a hundred fields of study. “Excellent with morality”, the famous motto from one known campus in Surabaya, East Java called Airlangga University. The campus is proven to create a lot of quality alumni that have high credibility and morality. Airlangga University or UNAIR was first built in 10th November 1954, two years earlier than ITS. The name Airlangga was taken from the name of a King who ruled the province in the year 1019 to 1042, Rakar Galu Sri Lokeswara Dharmawangsa Airlangga Anantawikramattungadewa or the much simpler version, Prabu Airlangga. Now, the University has about five different campuses with 14 different faculties. 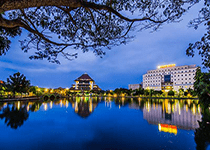 And the next one in the universities in Indonesia for International students is Brawijaya University, as the top University in Malang, East Java. The Brawijaya University or known as UB was built in 1963 and located in the crowdest area of Soekarno Hatta, Malang. It was called as Unibraw then, but then simplified to UB. The name was actually given graciously by the first president of Indonesia, Mr. Soekarno with the hope that someday this university can be as great as the Raden Brawijaya, which was the founder of one great kingdom in Indonesia, Majapahit Kingdom. Now, it’s an elite campus and constantly being the fifth best university in the country. The ninth university on our list is the Yogyakarta National University or more familiarly known as UNY (Universitas Negeri Yogyakarta). Of course, from the name of it, you can understand that the location of this campus is in the city of Yogyakarta. It’s always included inside the top 10 best universities in Indonesia. The history of UNY is not far from the grow of IKIP Yogyakarta and also UGM (Gadjah Mada University). The former faculties in UNY were the Education Faculties, Faculty of Physical Education, and Faculty of Teacher Training and Education. Now, it has about 8 different faculties. Now for the 10th one inthe universities in Indonesia for International students, this University is not located in the island of Java. The name is Hasanudin University, or many people call it as UNHAS. It’s the big University in Makassar city that located inside the province of South Sulawesi, Indonesia. UNHAS was built in September 10th 1956, and was the result of the expansion from Indonesia University’s Economic Faculty. The first campus was located in the Baraya area, or Campus Baraya as the local call it. But in the early 80’s, the campus was moved to Tamalanrea due to the location of Baraya Campus. 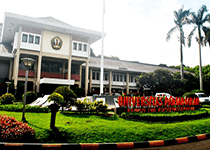 The Padjajaran University or UNPAD is the top University located in Bandung city West Java, precisely in Sumedang. The name Padjajaran was taken from the name of great Sundanese Kingdom, Padjajaran Kingdom that ruled by King Prabu Siliwangi in Pakuan Padjajaran back in 1473 to 1513. In the early operation, the University only has about four faculties. But now, it has 16 faculties completed with post-degree programs. The birth of Padjajaran University was the peak of educational movement for the people of West Java. 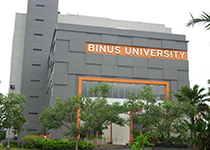 The Bina Nusantara University, or mostly known as Binus University is a private campus located in the city of Jakarta, Indonesia. The history of Binus is quite interesting because it all started from 21 October 1974, where this campus was only a Modern Computer Course. In those years, the computer was a new thing for people. The name changed in 1981 to ATK because of the growth and expansion. The name then changed time after time to Bina Nusantara University on 8 August 1996, still having some programs like Economy Faculty, Technical Faculty, Business school and Management, and many others. Telkom University or Tel-U, is also a private university, just like Ubinus. 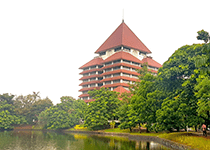 The location of the Tel-U’s main campus is in Bandung city, West Java. There are also the other campuses located in different locations, like Gegerkalong area, North Side of Bandung city, and also located inside an office complex of Telkom Company. Actually, Tel-U is a combination of four different institutions, Telkom Educational Foundation (YPT), Telkom Institute of Management (IM), Telkom Institute of Technology (IT), Telkom Polytechnic, and also STISI Telkom. From Java island, we move to the neighbor island, Bali, for looking at the best university on the island called Udayana University. Udayana or UNUD was finished back in 29 September of 1962. The history of UNUD was starting from the purpose of its building project. 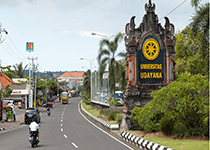 UNUD was supposed to be the branch of Airlangga University in Bali for Udayana Art Faculy. It was inaugurated by Mr.Soekarno, the former president of Indonesia in 29 September 1958. 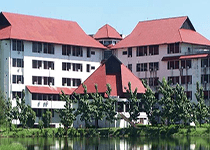 Now, UNUD has about 13 different faculties and also the post degree programs. It also has about three campuses, Nias, Sudirman, and Pusat Bukit Jimbaran.